Map Turtle, originally uploaded by The Bacher Family. 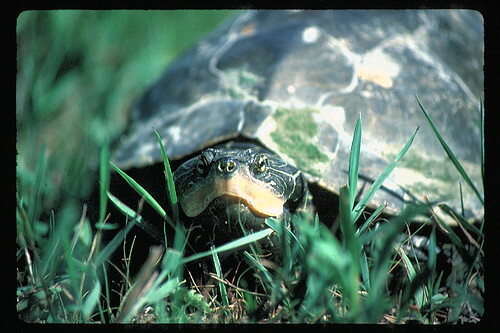 I photographed this map turtle in the grass near my cabin at the Merry Lea Environmental Learning Center, where I was serving in a teaching fellowship in 1990. It just seemed appropriate to take such a portrait at eye-level... of the subject.